With Team Publishing, you can create a work in progress version of an existing, live article, and stage changes to publish later. You can submit your content changes for review if you want to collaborate with team members or get approval. If you are working on new content for review, see Creating new content for review. Agents can create work in progress versions if they have management permissions. You must have Guide Enterprise to use Team Publishing workflow features. In the article assignment email notification, click Open article. Navigate to a published article, then click Edit in the top menu bar. Make any necessary updates to the article body. Click Save to save your changes as you go. When you save changes, a work in progress version is created. Your changes do not affect the publish version of the article until you p publish the staged version. Be sure to note the URL for your staged content. If you're not a Guide Manager, you'll need the URL to get back to the staged version of the article. If you're a Guide Manager you can view a list of all work in progress content. Click Preview in the sidebar if you want to preview the staged article. The preview link expires after one hour. The preview can be viewed by anyone who has the link. 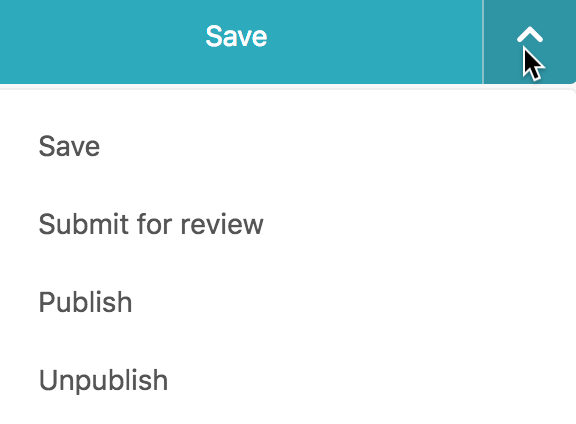 When you are ready to send your article for review, click the drop-down arrow on the Save button, then select Submit for review. If you'd like, you can assign the article to a specific user for review (see Assigning or reassigning articles with Team Publishing). If you need to submit multiple articles for review at once or assign multiple articles at once, see Updating knowledge base articles in bulk. Hi Stephen, that's correct. You will need the url to get back to the article. Is it not possible for an authorized agent to find the article with search? Community Moderator ----- why is it not possible for an agent? There are no user roles/permissions for the Community, the two roles are Admin or end-user.